LIFAN 200-163-FML ENGINE WIRING DIAGRAM. Some LIFAN Motorcycle Manuals & Wiring Diagram PDF are above the page. History of the company LIFAN began in 1992, the year the company was founded on the repair, and later - and the production of motor vehicles. Rapidly developing, after a couple of years the company mastered the production of automotive equipment, and in 1997 became the fifth largest motorcycle manufacturer. Then the name Lifan Industry Group appeared. By the way, LIFAN in Chinese means "Go all the way". Mototechnics LIFAN is successfully sold in China, Southeast Asia, Africa, Europe and South America - the whole company is promoting its products in 165 markets around the world. Annually more than 3 million motorcycles are produced, and in the production of engines for motorcycles, LIFAN is one of the recognized world leaders, with a 11.2% share of the world market. After receiving a certificate of compliance with European quality standards, LIFAN began selling its products in 18 countries of the European Union. The LIFAN range of motor vehicles includes a full range of models, from scooters and light all-purpose motorcycles to sportbikes, enduros and choppers. 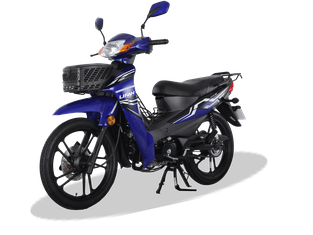 Opens the lineup scooter LIFAN LF50QT-26. As well as it is necessary under our legislation, it is equipped by the engine in volume of 49 sm3, capacity 3,3 hp. A four-stroke air-cooled engine is started with both an electric starter and a kick starter. The equipped weight of the scooter is 95 kg, the volume of the fuel tank is 6 liters, fuel consumption: 2 liters per 100 km. 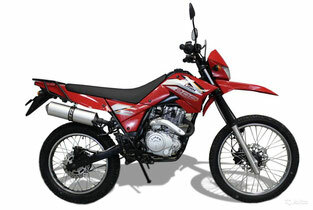 Stylish bike LIFAN LF100-C will not leave indifferent fans of adventure and impassability. Due to its high ground clearance, wide toothy wheels and low landing, this bike will be convenient on rough terrain. It is equipped with a 99-cc 7.2-strong air-cooled engine, weighs only 94 kg, but can carry cargo up to 244 kg. On a step above - universal motorcycles LIFAN LF150-10B and LIFAN LF150-13. As it is easy to guess from the designation, these models are equipped with more powerful and cubature motors. At the first model capacity makes 12,6 hp. the water-cooled engine, the second model - 13 hp. and an air-cooled engine. Comfortable landing, laconic design, convenient trunk, excellent maneuverability - these are typical features of motorcycles "for every day." Both models are equipped with a 5-speed manual transmission, and with its own weight of 146 kg can carry up to 296 kg. 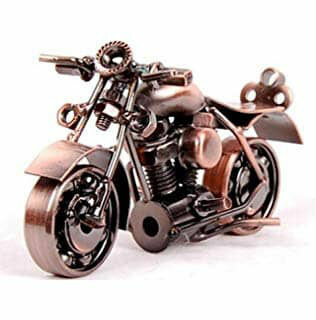 Look - HONLING Motorcycle Manuals PDF & History.